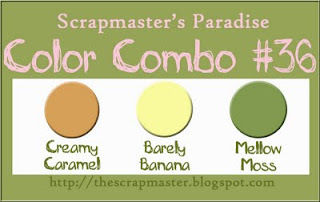 I am finding that Challenge blogs are really helping to get me scrapping again...and I have found another one Scrapmaster's Paradise Colour Combos. 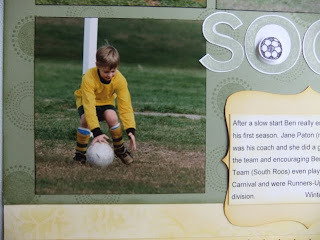 This is the first half of a double page of my second son Ben and his first year at Soccer. 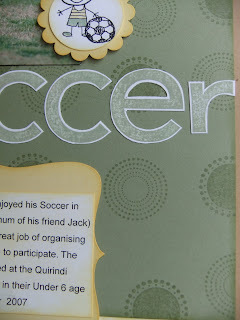 I have stamped Mellow Moss cardstock with the Seeing Spots Stamp Set in Mellow Moss ink to make my background paper. 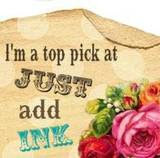 I have also sponged over a pale yellow sheet of Bella Bleu DSP with Barely Banana Ink. 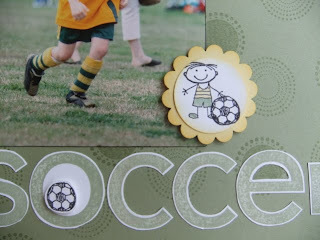 Here is a close up of the cute little guy from the All in the Family Stamp Set and the soccer ball from the Family Favourites stamp set. My journalling was printed on Whisper White card and then sponged with Barely Banana and adhered to a Top Note template from the SU website that I had printed on Barely Banana. What an adorable layout - you did great with the colors! Thanks for playing along with us at SPCC! Great LO! I love the stamp sets you used, so cute! Your LO is great - darling little guy. 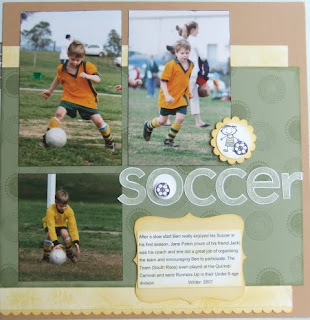 I love the little soccer embellishments! Fabulous layout. Thanks for joining us at SPCC. Great LO! Love the background of spots! Great job! Thanks for joining us at SPCC! so pretty! love that LO!!! it's very CAS, love it!